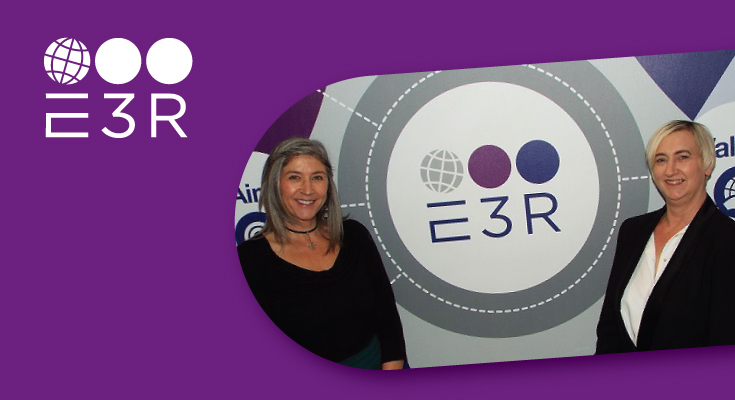 Engineering and Manufacturing specialist E3 Recruitment (E3R) has welcomed Chrissie Gale to further strengthen the company internally in her new role as Head of People and Organisation Development. This a key strategic appointment for E3R which celebrated its fifth birthday in March with the launch of Evolution, its strategy for growth for the next five years. The strategy highlights its continued focus on its specialist sectors which include; Aerospace, Automotive & Fleet, Building & Construction Products, Chemical & Pharmaceutical, Energy & Utilities, General Manufacturing, Food & FMCG and Oil & Gas and working in partnership with industry bodies. Whilst internally developing the design and delivery of leadership, people and talent development and engagement initiatives to support E3R’s strategic priorities. E3R has worked with Chrissie since 2013 following the creation of Mooncas, an events business operating across Yorkshire and Humber working closely within the manufacturing and education sectors, organising and managing events Educated Yorkshire, Techtrade and Manufactured Yorkshire – an event sponsored by E3R since 2015. Mooncas events was later bought by the Made in Group and became Made in Yorkshire with Chrissie leading the manufacturing support group to become the regional success it is today with over 130 members and E3R being the only recruitment patron for the last three years. Prior to Mooncas, in 2011 Chrissie setup her own business as a sales training coach and mentor to both the private and voluntary sectors working with SME’s. Her newly created position will echo this work as she will work in partnership with E3R employees to proactively deliver creative solutions, manage and lead change, provide coaching and guidance, working towards a high performing inclusive culture. Tracie Norton, E3R Director commented: “Chrissie is a very driven, focussed, professional business woman with energy, passion, and a desire to make things happen. Chrissie has been instrumental throughout her career in driving business strategies, revenue and people development through coaching, mentoring and implementing key processes and procedures, managing and leading sales teams, budgets, and increasing revenue outputs and streams.